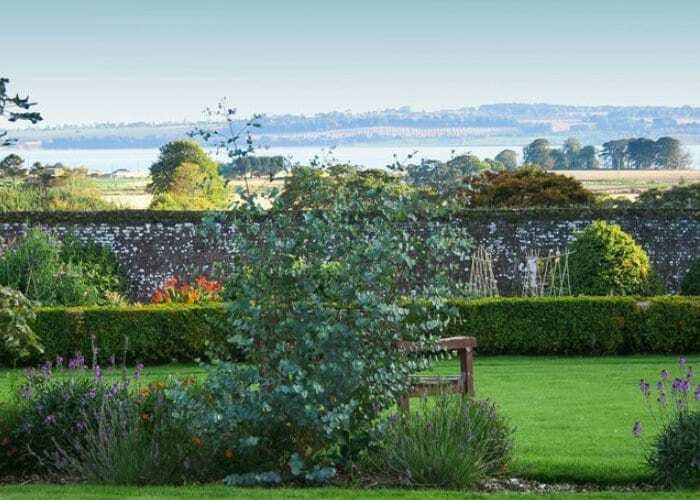 Set overlooking Montrose Basin, Langley Park Gardens include four walled gardens, three filled with herbaceous borders, fruit trees and vegetable plots, the fourth is a small arboretum. The 27 acres of policies contain woodland walks among both ancient and recently planted trees. Walk down through the 20-acre wildflower meadow along the banks of the wildlife pond, enjoy the views over Montrose, The Basin and the hills beyond. In winter enjoy long woodland walks among our stunning snowdrops. May – September opening: Friday, Saturday and Sunday only. Telephone 01674 810735 or visit the website. Directions: Just off the A935 Montrose to Brechin Road, one and a half miles from Montrose. Partial Wheelchair Access, Dogs on Leads, Homemade Teas, Snowdrop Opening (Feb/March).